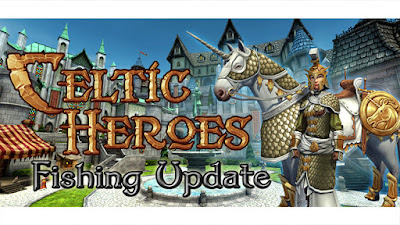 Home Fishing Fishing Guide - Locations, Tutorial, and much more! 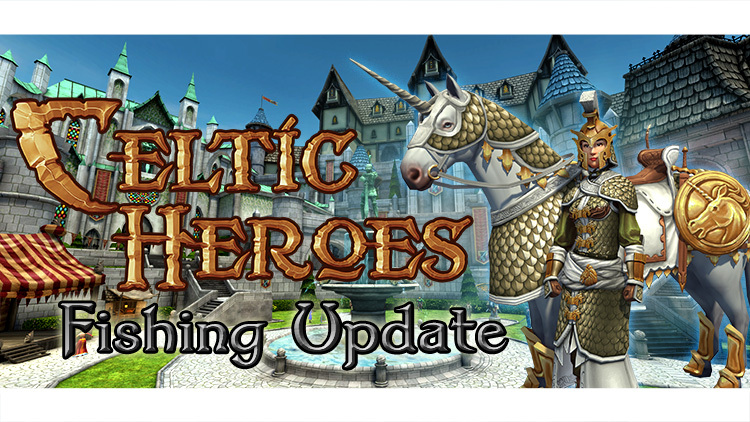 It's a new mini-game in Celtic Heroes where you can gain a fishing rod and participate in fishing in certain areas of the world. You can gain fish and a number of other items from it. Lockboxes that contain potions, idols, gold, and more! Where do I start fishing? Talk to the Old Seafarer at Lir's Pier to start the first fishing quest. How do I start Fishing? 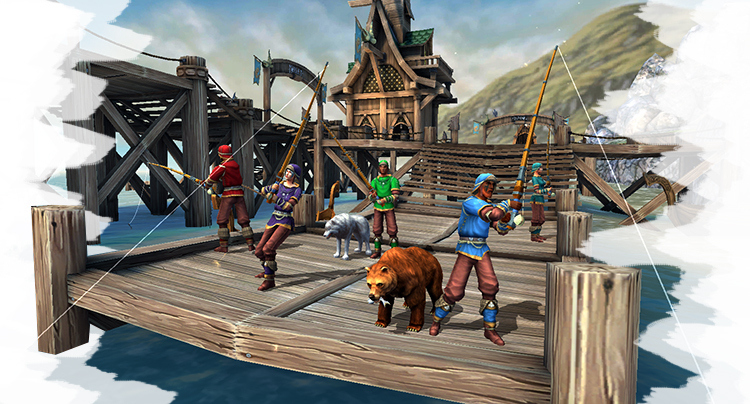 Use your Catch skill to decrease the fish's energy without depleting your Concentration. I still don't understand fishing! Fishing is just like fighting a mob. You select the fishing spot by tapping on the circular ripples in the waves. The top (green) bar is the fish's energy, you can think of it as the mob's health. When this is depleted you catch the fish. The bottom (purple) bar is your concentration, you can think of it like your health. When this is depleted the fish gets away. When you select the ripple, the multi-use button turns into a fishing pool, and when lit starts battling the fish. This is like using your auto attack. The rod's skill (which can be equipped to the hotbar) further depletes the fish's bar, just like using Pummel or Quickstrike on a mob you are auto-attacking..
You can use Fisher's Draughts to replenish your Concentration, like using a health potion to heal you a bit. Better poles allow you to fish more easily (just like better weapons increases your auto damage). And that's it! Fishing is really easy! See the video below for fishing locations for each level. What's the max level fishing ability? Right now it is about 110, although you can go past it with enough effort since it isn't a hard level cap. This should increase as new fishing areas are added in the future. 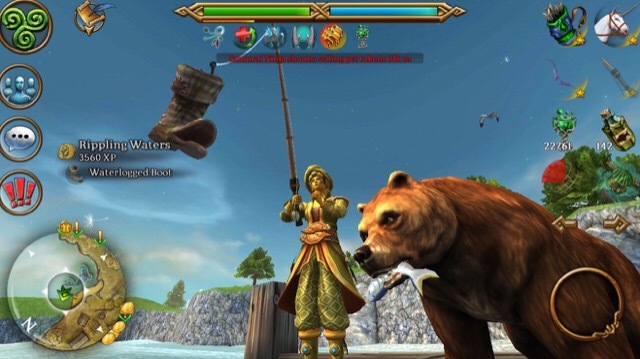 Bears are pets that can help you fish with their swipe skill. 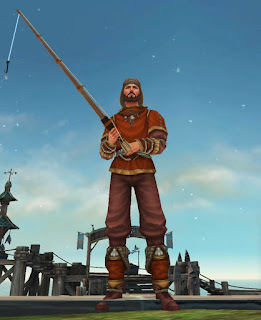 Beginner quests given by James Sandford in the Market area of the Lir's Pier. Is there a fishing equipment shop? Yes. James Sandford also sells fishing equipment. Fisherman's Droughts - potions that restore concentration. To be used while fishing. There is a fishing fashion vendor in the Lir's Pier Market. He sells them for Marks of Noden. You can find Marks rarely by fishing for them.